David White is speaking at St Peters Church this evening. David White is sharing his powerful story on domestic and family violence at St Peters Church in Tauranga this evening. Tauranga is one of the stops on David’s ‘Lifting New Zealand’s Dark Cloud’ nationwide tour, where he is visiting 71 electorates in 72 days to share his story of losing his daughter Helen Meads, who was murdered by her husband. Tauranga Women’s Refuge manager Hazel Hape says David’s daughter was murdered in 2009. “What David is doing is travelling the country sharing his story over 71 days. He is doing a nationwide tour to talk about his experience and having to raise his two granddaughters. 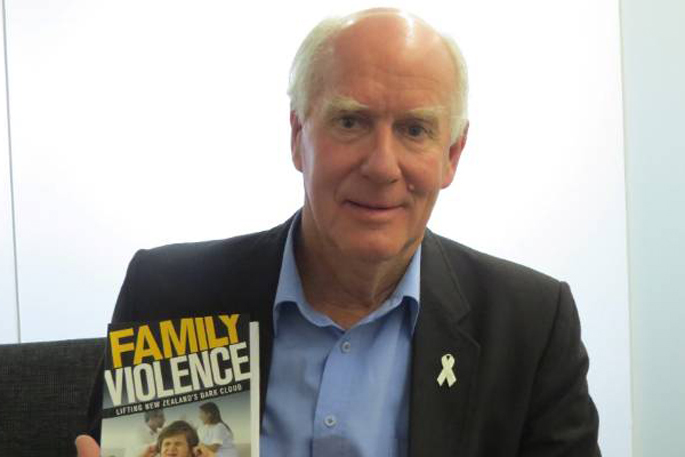 The Tauranga MP’s were not available to host David, but the Tauranga Women’s Refuge and Tauranga Living Without Violence group are hosting the event, which Hazel says was an easy decision. “Whether MP’s are in parliament or they are on overseas delegation, we think it’s important for the public to hear his voice and his message. Hazel says it’s timely David is in Tauranga for this event, following the loss and injuries of children through abuse in the last few months. “Nobody seems to be talking about the fact that we have had four children in this community suffer because of domestic violence in Tauranga, and two of them are no longer here. More information can be found here on Facebook.